Violet F. "Vi" Stepien Service Details - East Liverpool, Ohio | Dawson Funeral Home, Inc.
EAST LIVERPOOL - Violet F. “Vi” Sirovica Stepien, of East Liverpool, passed away Saturday morning, September 8, 2018, at the East Liverpool City Hospital. She was 94. Born in East Liverpool, September 5, 1924, she was a daughter of the late John and Margaret Sirovica. A lifetime area resident, for over 40 years she worked at Homer Laughlin China Company. During World War II she worked for Curtis Wright. A member of the East Liverpool High School Class of 1942, she was also a member of Holy Trinity Parish. In addition to her parents, she was preceded in death by her husband of 54 years, Thomas J. Stepien, Sir who passed away January 18, 1999. She was also preceded in death by three sisters Goldie Brdar, Laura Krasevatz and Barbara Skrinjar and two brothers Stephen J. Sirovica and John J. Banko. Survivors include two sons, Thomas J. Stepien, Jr. and wife Sharon of East Liverpool and John M. Stepien and his wife, Carolyn, of East Liverpool, as well as two grandsons Thomas J. Stepien III and his wife Christine of Hilliard, OH and Christopher Stepien and his fiancée Amber Yatro of East Liverpool, granddaughter Valerie Stepien of East Liverpool and two great-grandsons Thomas J. Stepien IV and Matthew Stepien both of Hilliard. Also surviving are many nieces and nephews. Friends may visit Tuesday afternoon and evening at the Dawson Funeral Home where the family will be present from 2 to 4 and 6 to 8 p.m. Reverend Scott Kopp will conduct a Mass of Christian Burial Wednesday at 11 a.m. at Holy Trinity Parish at St. Aloysius Church. Burial will be at St. Elizabeth Cemetery in Wellsville. View Vi’s memorial webpage and express condolences online at www.dawsonfuneralhome.com. 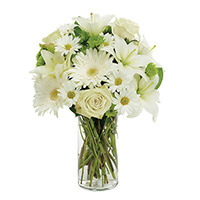 To send flowers to the family of Violet F. "Vi" Stepien, please visit our Heartfelt Sympathies Store. We encourage you to share any memorable photos or stories about Violet. All tributes placed on and purchased through this memorial website will remain on in perpetuity for future generations. 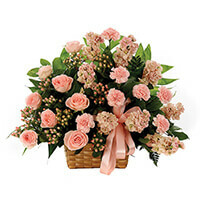 Our deepest sympathy and condolences to the Stepien family on the passing of Grandma Vi. I’m sorry for your loss!!! I got the pleasure of taking care of her, she was special to me! She definitely will be missed!!!!! Prayers to the family!!! !